Our in-house processing technology takes utmost care of the particle shape and the high aspect ratio. Our manufacturing and processing results are an excellent source of fulfilling the growing needs of the ceramic, cosmetic, paper, paint, rubber and plastic industries globally. 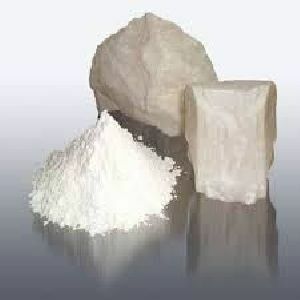 We manufacture and Exports Talc / Soapstone powder of various grades in customized packing. VARIOUS FEATURES & APPLICATIONS OF "IRIS TALC"
Stabilizes thermal expansion – important for large format tiles. With its soft, silky feel our cosmetic grade talc makes an excellent base for body and baby powders. Applied after bathing, it prevents chafing and gives a soft, soothing, cool sensation. Our cosmetic grade talc is also excellent fragrance carriers for scented body powders. 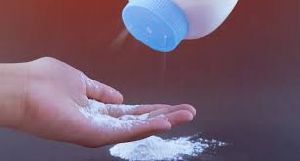 The surfaces of the talc platelets retain the perfume with a minimum loss of potency. It is also used as filler in making Toiletries. Used as pitch and stickies control agents, Iris talcs improve runnability, reducing machine downtime, cleaning times, prolonging felt lifetimes, and boosting productivity. They are cost effective alternatives to chemicals used in pitch and stickies control. They make excellent TiO2 extenders, improving TiO2 retention and performance and enhancing opacity. 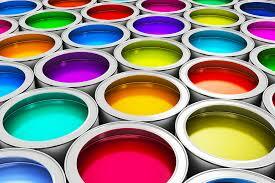 Due to their oleophilic nature, Iris talcs reduce dye demand in colored papers and improve color intensity. Iris talcs are naturally hydrophobic. When formulated into paint, the orientation of the talc platelets forms a more significant barrier, limiting the penetration of water and corrosive agents into the paint film and reducing corrosion, caulking, peeling and blistering. Due to its lamellarity and chemical inertness, talc also promotes adhesion increasing the paint's durability. Talc protects the binder from UV radiation, improving the weather resistance of exterior paints. Iris talcs improve processability while maintaining mechanical properties and lowering compound costs. Iris talcs are highly lamellar minerals. This platyness not only facilitates slippage between the platelets at solid surfaces but functions as an internal lubricant. In injection molding and extrusion formulations, Iris talcs : lower compound viscosities improving mold flow, reduce nerve, reduce mixing time by up to 20%—talc is organophilic and incorporates rapidly into the compound, improve extrusion rates and surface finish, minimize wear on processing equipment such as extruder screws and dies. Application Paint, Ceramic Rubber etc.